Beyond Off Grid Memorial Day Sale! This Memorial Day weekend, Americans around the country pause and remember the sacrifices and memories of our forefathers, both those who died in military service and those who were civilians. This weekend is also a great time to look back at history and remember how our nation used to be—how we conducted business, how we handled government and national security, and how we lived in day-to-day life. Now is the perfect time to learn our history—how we got to today. …because everyone living in modern America has a problem. A very, very big problem. 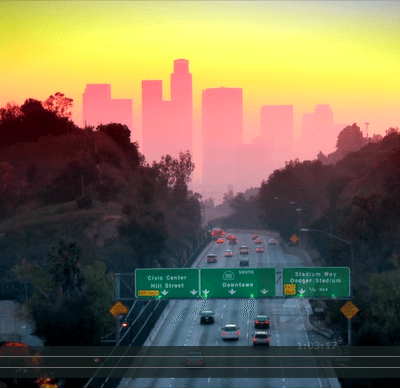 This film explains that our modern way of life isn’t as certain as we think. This is an eye-opening film that challenges the modern paradigm, with the hope of shaking people from their slumber and proclaiming the truth about the action that each of us needs to take today. The film is an easy way for you to learn more about the historical background of our current situation, and what you can do today to help fix the massive problems haunting us. 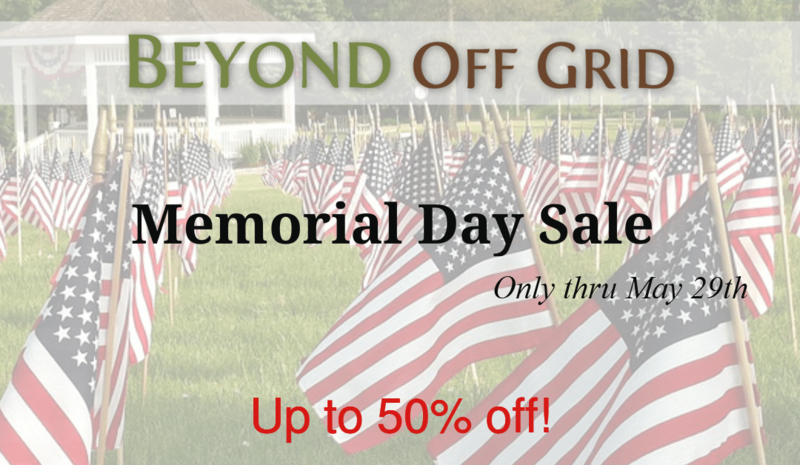 So in honor of this special weekend, we’re running a Memorial Day Sale at Beyond Off Grid! From now until Tuesday, May 29th, you can get the film in any format at a discounted price (over 20% off). If you’d like to watch the trailer for the film, and even get a sneak peek at the film’s introduction, check out the Film Sneak Peek page. Get discounted admission to the Emergency Prepper Expo in Doswell, VA Oct 21-22, plus a discount film screening pass to watch the Beyond Off Grid film and talk to the producer after the screening! Take Action & Get Our Top Training Course for 50% off! While the film largely addresses the “why”, our online courses help train people in the “how”— how grow and preserve food, how to raise animals, how to use herbs, and how select the perfect homesteading property and build your self-reliance effectively. In short, it helps people just like you return to the old paths. 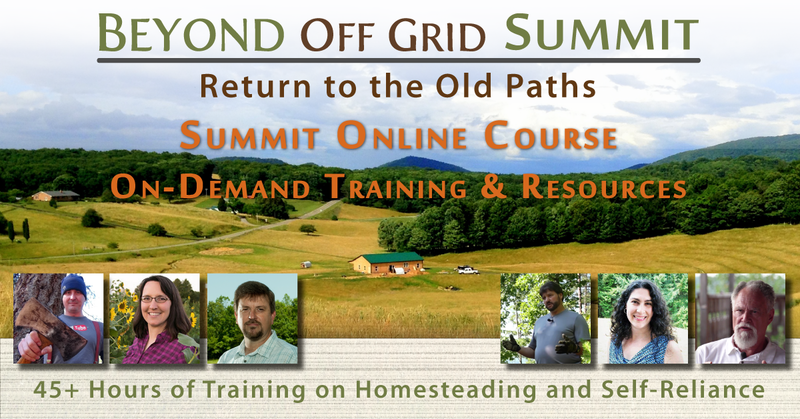 So, to make this holiday weekend even better, we’re also offering the Beyond Off Grid Summit Online Course to you for 50% off! That’s 45+ hours of training sessions for half the normal cost. Check out the Summit Online Course sale now. But Don’t Wait! This is one of the best offers on the Summit Online Course since we released it, and it ends very soon! Disclosure: The links above may be affiliate links. If you purchase any products after clicking on these links, at no additional cost to you, the Beyond Off Grid project may receive a small commission for making you aware of these important resources.